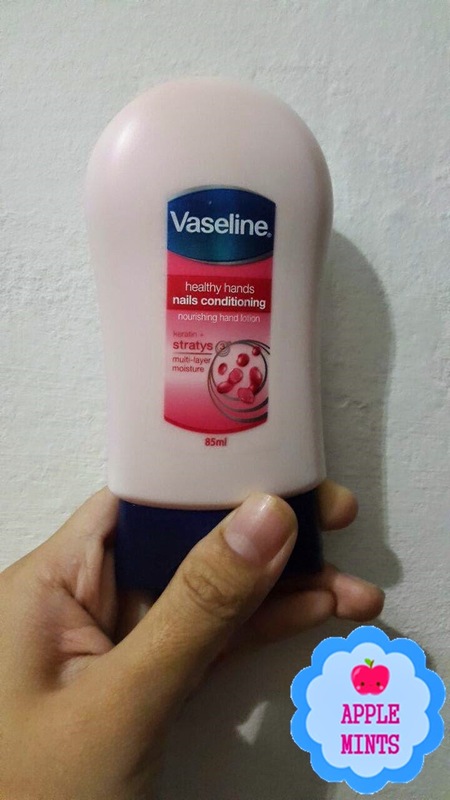 Review Product : Vaseline Healthy Hands Nails Conditioning | *Ignore my poor English* Hello, guys. I have no idea what to update until... I feels like I want to make a review on every new products that I am using and purchased. So, this is my second review. My first one is Biore Cleansing Strips Pore Pack And for my second review, I will share or review about Vaseline product which is Vaseline Healthy Hand Nails Conditioning Nourishing Hand Lotion. Its gonna be just a simple review from me. I have been looking for a hand lotion for a long time. Since the weather now is quite sunny, I must have a hand lotion with me. And because of the weather, my skin become dried. When I went to Watsons last month, I decided to buy Vaseline and try it. I have been used it for a few weeks. So far so good. And I love it! Vaseline's lotions are good. But, the things is it have paraben in their product. As I know, paraben is not good to our skin. It is hard for me to find any product who doesn't contains any paraben ingredients. Sigh. Most of it, these product is good and awesome. I don't mind to purchase it again and again since it makes my skin and hands become more smooth and moisturize. The thing is these product is not for hands, but its also can be use for our nails. What can I say is these product make a different to my skin. Love it! I thought I want to put a picture before and after I used these product. But, yeah. It can't be see clearly cause it seems like no differences between before and after I using it through picture. So, I decided to not put it in this entry. Sorry. Thats all for now. See you in the next product review. Love! Vaseline is one of the best brands so far.